Home | bacteria | Contamination in Fuel – Where did it come from in my boat? Contamination in fuel is the leading cause of accidents in boating next to alcohol consumption. Groundings can be caused by losing power in your engine. This is caused by bacteria and contamination loading up your filters and starving your engine of fuel. The experience was traumatic for passengers who really did not know what was going on. In the case of the Mexican Ferry this fuel may have been delivered but it also could have been a case of lack of maintenance. In boats on our West coast it is a usually a combination of contamination in fuel delivery systems on shore and condensation in our vessel tanks with water and bacteria building up over time,Where you fuel up is very important as I have had the personal experience of receiving contaminated fuel directly to my boat tanks from a Marina. The fuel shut down my boat within half an hour. 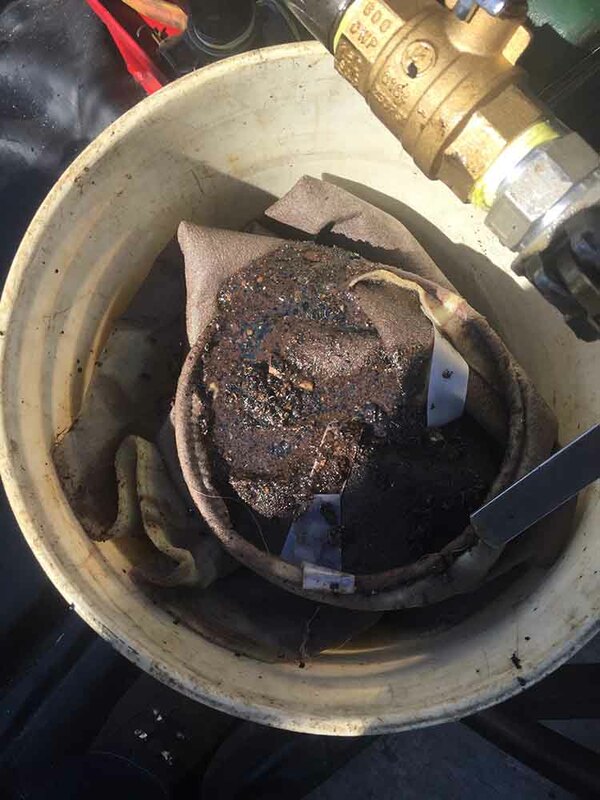 Contamination in fuel is not fun and is expensive to deal with but if your tanks are cleaned properly the first time you should be ok for the rest of your ownership of the vessel barring delivered contamination from a bad fuel source. Fuelling up at the same place where the volume of customers is high, keeping your tanks topped up over the winter and changing filters at least once a year are some best practices in order to avoid contamination in your fuel tanks. If you find yourself in a situation where you need to get your tanks cleaned – get a written quote, understand the process, know the hourly rate of the company providing the service and get the extras included. This is usually easily estimated except for waste. It is difficult for anyone to see how bad the contamination is in any tank. Safe Boating everyone!